The 40 suites in the main building are generously sized with a bathroom including a wheelchair accessible shower. 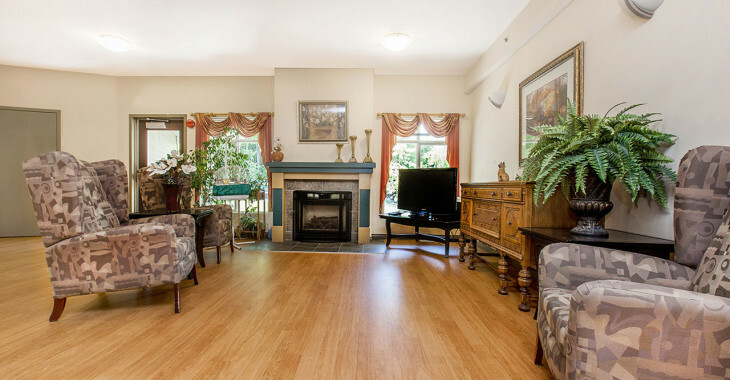 The main building encompasses two living rooms with fireplace and two dining rooms as well as two bathing rooms with tubs. Our administration offices, multipurpose rooms and a chapel are also located in the main building. 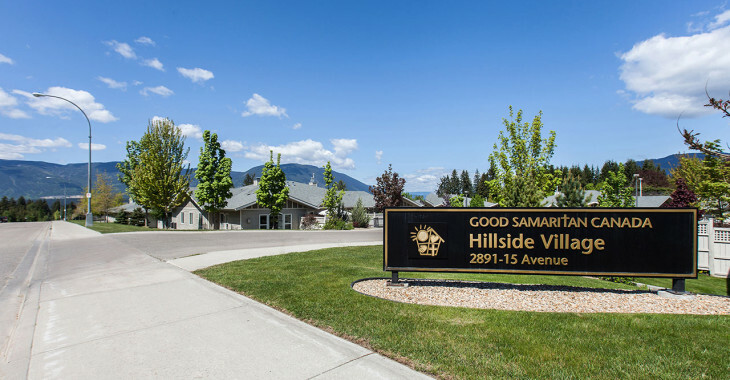 Good Samaritan Hillside Village consists of six 12-bedroom duplex homes (72 beds) for the care of persons with dementia as well as those that require complex care. 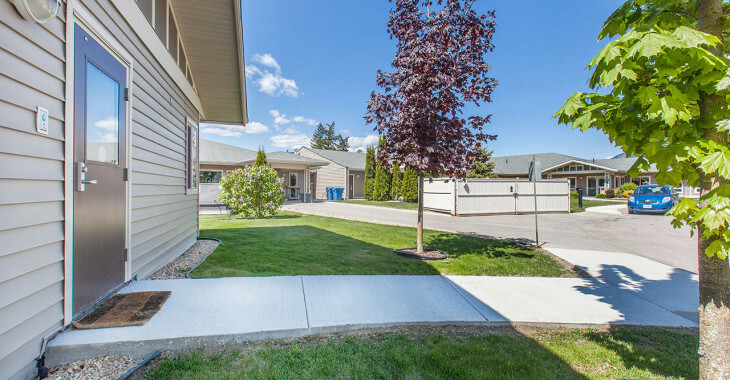 Each half of the duplex has 6 bedrooms, two living rooms with fireplace, kitchen and secure access to a fenced yard. Clients are included in the events of daily living to the extent that they are accustomed and able and a variety of therapeutic and recreational activities are incorporated into daily living. 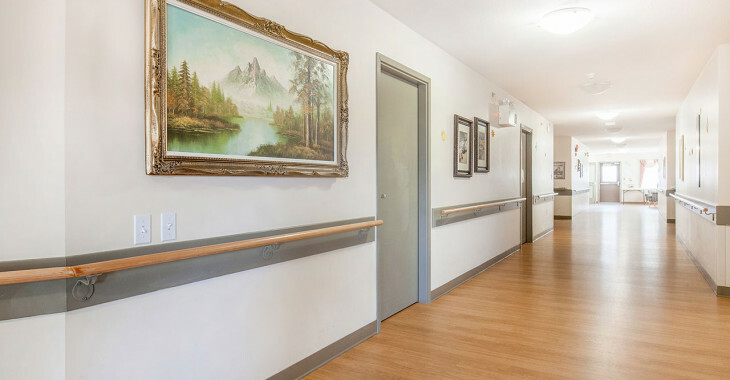 Residents will have their own private bedroom, including bathroom with a wheelchair accessible shower, and are invited to bring some of their personal furnishings within policy guidelines. 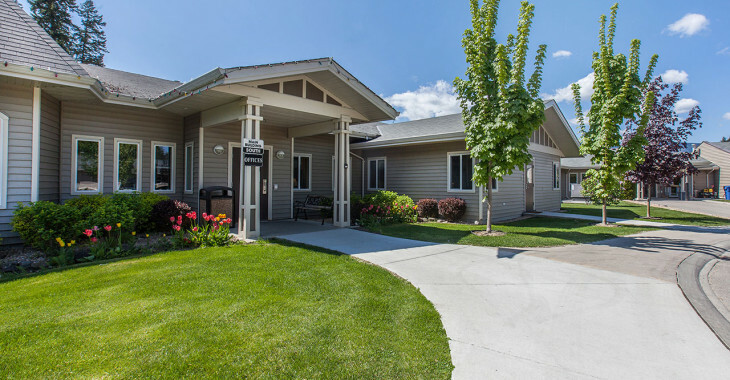 Admission to our residency program is through the Community Services of Interior Health. 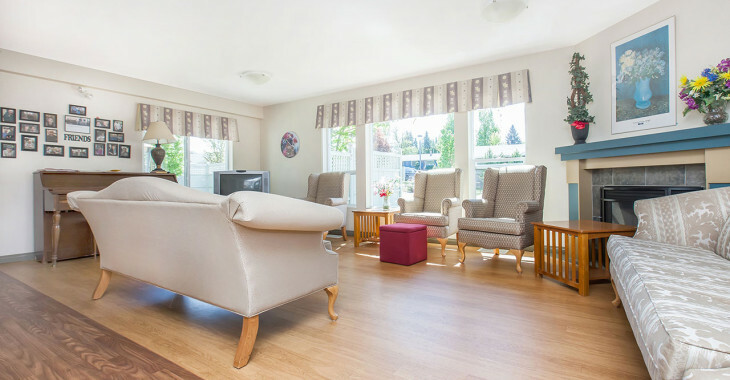 Our licensed complex care facility is intended for those residents of Salmon Arm and the surrounding communities that can no longer live in their own home or community location and require 24 hour care/support. 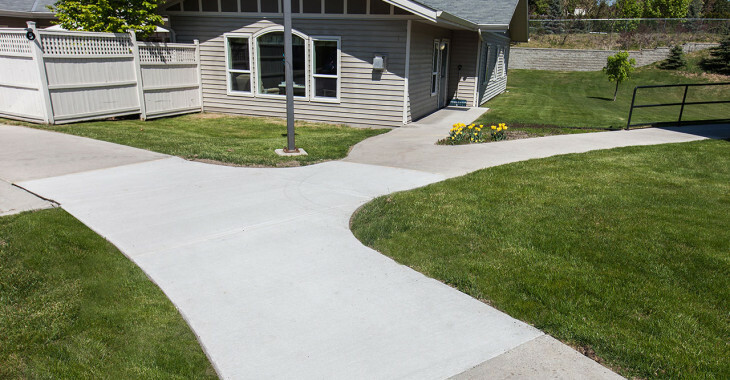 Residents wishing to be considered for this program should discuss this option with Interior Health. For more information or how to qualify for admission, contact the Shuswap Community Care Health Services at 250-832-6643.